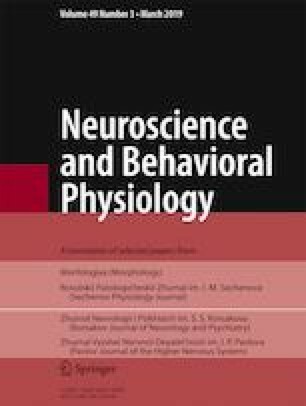 The effects of injections of the selective serotonin reuptake inhibitor fluoxetine or physiological saline to rats during pregnancy (from day 9 to day 20) on behavioral parameters of the tonic pain system, anxiety levels, depression, and cognitive measures were studied in male offspring during the prepubertal period of development. The results demonstrated decreases in body weight in neonatal and 25-day-old males. Improvements in spatial learning ability were seen, though there were no changes in measures of psychoemotional behavior in males in the prepubertal period of development. Comparison of the effects of prenatal administration of fluoxetine and physiological saline on the functional activity of the nociceptive system showed that the serotonin reuptake inhibitor eliminated the effect of invasive stress due to the injection. Chronic injections of the antidepressant fluoxetine during pregnancy did not increase pain sensitivity in male offspring. Translated from Rossiiskii Fiziologicheskii Zhurnal imeni I. M. Sechenova, Vol. 103, No. 7, pp. 744–754, July, 2017. I. P. Butkevich, L. I. Khozhai, V. A. Mikhailenko, and V. A. Otellin, “Decreased serotonin level during pregnancy alters morphological and functional characteristics of tonic nociceptive system in juvenile offspring of the rat,” Reprod. Biol. Endocrinol., No. 1, 96–105 (2003), www.rbej.com.